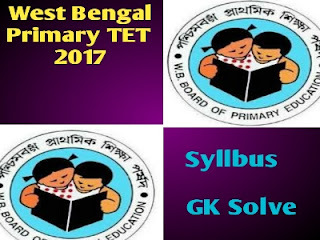 Hope, you are Quite well and preparation for Job.Here, GK Solve share a important topic for you.This year WB Primary board recruitment teacher for school.Before stating exams you need to know TET syllabus. This topic Help you to know about Primary Teacher Test pattern And Syllabus for Question Paper. In recent time, more and more students like to exams for Primary examination.This year west bengal borad of primary education consists around 3000 vacancies. So the competition for WB Primary Teacher Job is very high and more tough. know about Primary Exams Partten.This topic help you to know, No. of question mark, duration of time etc. So Readers, If you cover the all topic and practice daily you can score cut off marks with ease. Mind it, Practice is key of any Success. 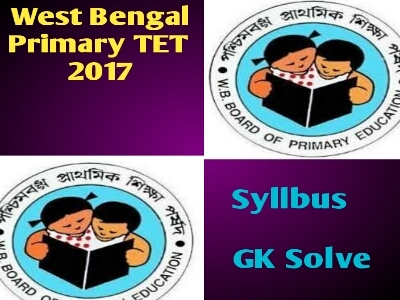 And GK Solve help you to give Primary TET examination study materials. Please stay with us, and daily visit, share blog address to your friends.With this materials you will be success.